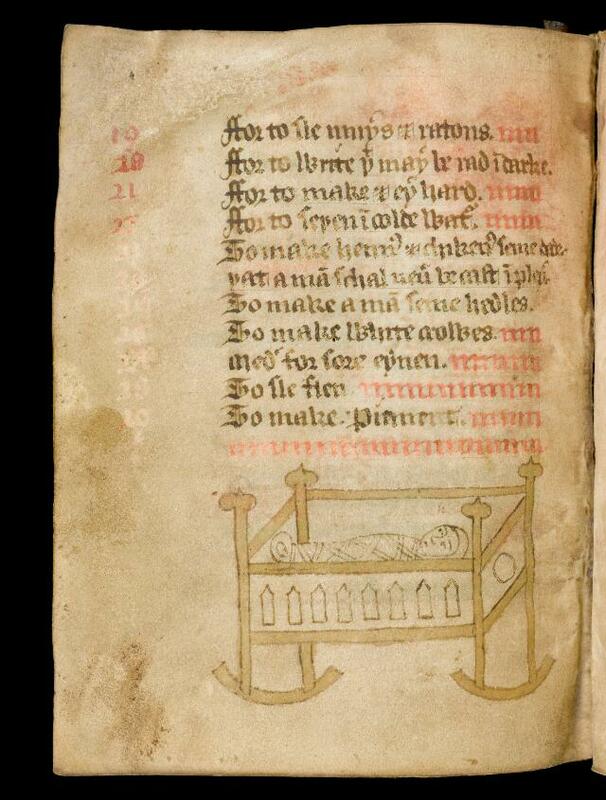 Recipe for delivering a still-born child, image is of a child in a cradle. Collection of medical recipes [written in the area of Worcestershire, first quarter of the 15th century]. Coloured drawings serve as extravagant decoration for the catchwords. Folio 7, verso.